I will create a photo gallery and a page about the wonderful meetup & the concert soon. Special and heartfelt thanks go to Jorcx, Toni, Chema, Guadalupe, Lluïsa, Meritxell, Antonio, and Maarten for their hard work to create a memorable meetup. A real blockbuster! In this message I am only going to give an update about some other topics people certainly are interested in! 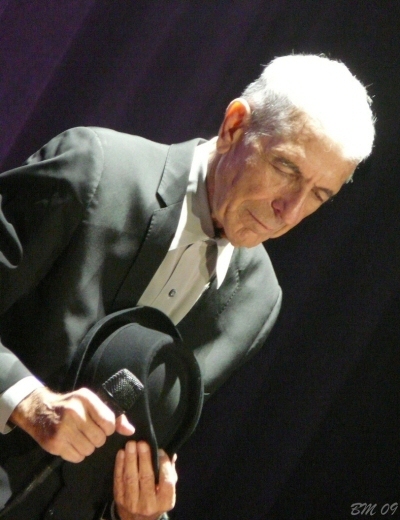 I met Leonard both before and after the Barcelona concert. After the food poisoning in Valencia he felt already much better. However, I didn’t want to disturb him very long (he always meditates after the sound check before the concert), but told him that I have the mosaic poster and other gifts from Forum members with me. We agreed that his assistant Lisa takes the gifts and makes sure they are delivered to Leonard’s home in Los Angeles. 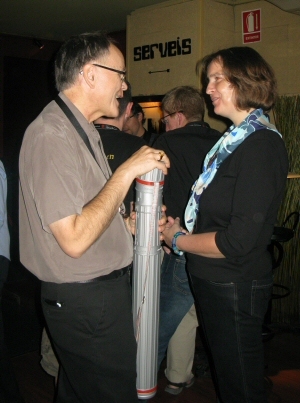 The poster is now on its way to US in a special plastic tube (see the photo below, I am showing it here to Barbara). Leonard was very well aware of the birthday projects of our members. After “Wither Thou Goest” he thanked Forum members and the webmasters for what they are doing. Eija and I had change to congratulate him after the show and to thank him for a most amazing birthday concert. He was well and very pleased with the audience’s response. Several Spanish newspapers described the concert next day as “majestic”. Well said! One of the papers (El Mundo) had a lot about the internet community (will have it translated). Leonard and the band members noticed the candles our members lighted during “Suzanne” and said that it was very touching. My plan is to take more copies of the mosaic poster with me to Las Vegas or San Jose, the last concerts of the World Tour 2008-2009, to show the poster to the band members and the crew as well. 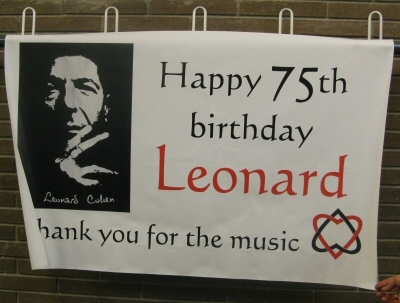 Let’s hope we then will have also time to take a picture of Leonard with the poster. In Barcelona I felt that it was not a good moment for anything like that. 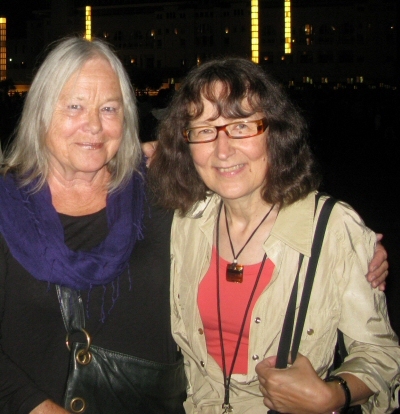 Eija and I also shortly met Marianne (of the song). She was in Barcelona to see her Hydra-time friend who now lives in Montserrat. They also came to see Leonard’s concert. She is a lovely lady who described her years with Leonard on Hydra with warm words and fond memories. Below she is with Eija. Thank you Jarkko for this post. There is so much incredible information in it...I love it! Thank you again for this forum. Many thanks Jarkko for all the lovely pictures and the valuable insight information!! See you all very soon, and all of you who are travelling to San Jose, have a nice trip and please tell us all about it!! The photo #845 is the best picture to date that I've seen of Neil - wonderful! All these pictures are fantastic - photos like these are the reason I've stopped trying to take pictures and now am able to relax and simply enjoy what is taking place in front of me. Thank you for your synopsis of the events and for posting these great photos and to Maarten, Eija, and Barbara for sharing them with us! Thank you for the report, Jarkko, and thanks to Eija, Barbara and Maarten for these fabulous photos ! I didn't have a lighter for my candle unfortunately, but my eyes must have shone just as brightly . Marianne is as naturally beautiful now as she was in her Hydra days ... "a lovely lady who described her years with Leonard on Hydra with warm words and fond memories" ~ she looks exactly as you've described her. So wonderful that you were able to meet her, Eija and Jarkko. 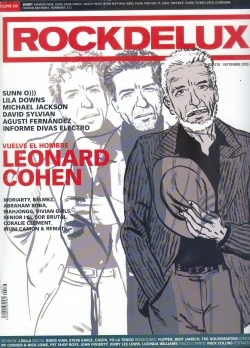 I LOOOOOVE that photo of Leonard above.